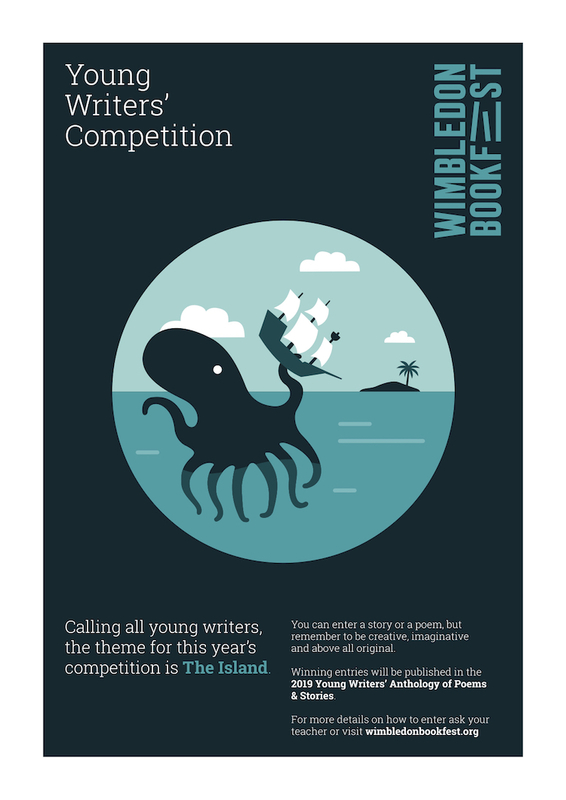 The theme of this year’s Young Writers' Competition at Wimbledon Book Festival is The Island, celebrating 300 years since the publication of Robinson Crusoe. We are inviting students to write either an imaginative story or a poem along the theme of 'The Island'. Young people are encourage to take inspiration from examples in literature – Lord of the Flies, Treasure Island, Kensuke's Kingdom – or from their own experiences. We are looking for tales inspired by any type of island, be it a deserted island, an isolated city, an island in the mind or any interpretation you can think of. All entries must be via schools. We are unable to accept direct entries. Closing Date: Friday 3rd May 2019. Alberto Fernandez-Carbajal, University of Roehampton, Gemma Malley, Author and Communications Director, BookTrust, Margaret Reeve, Teacher & Educationalist, Sydney James, Wimbledon BookFest, Louise Lee, University of Roehampton, Polly Simmonds, Head of Creative Learning, Polka Theatre, Lindsey Barraclough, Author, Maria Garcia, Merton Libraries, Julian Butler, Musician & Writer.